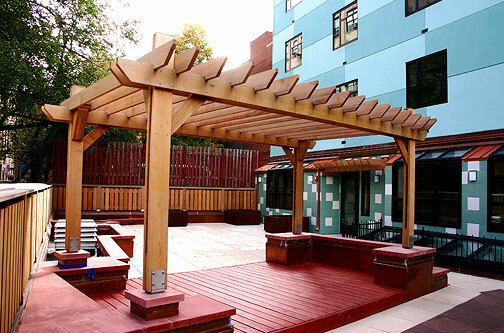 This commercial project involved a trellis system, fencing and two roof top pergolas along with several entry overheads. 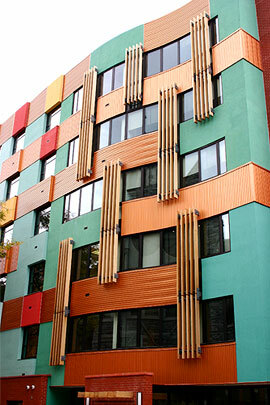 The designs are simple, but the effect in conjunction with the building shape and color, is quite dramatic. 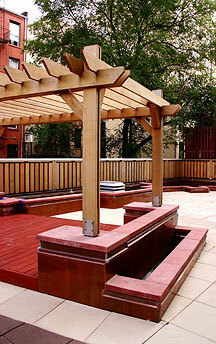 Special stainless steel brackets were designed to provide strength at the attachment points for all of the structures. 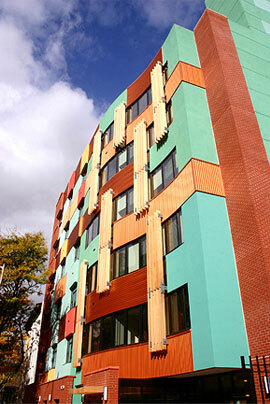 The cedar will weather to a silvery gray and will be a natural complement to the vibrant color of the building.